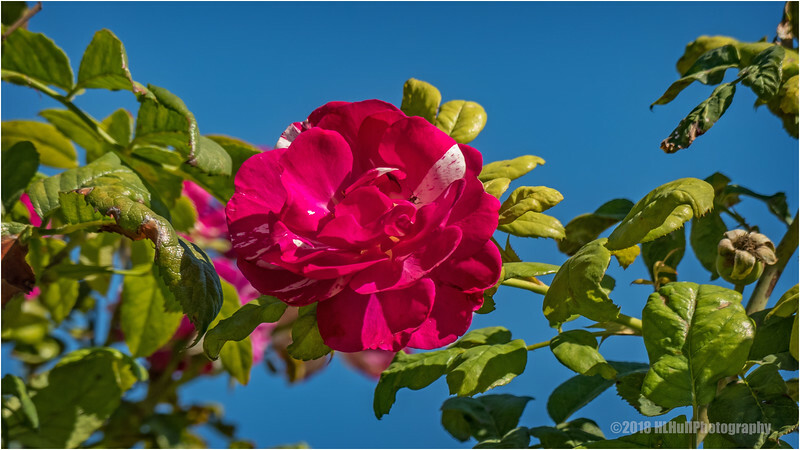 Picture perfect rose against a beautiful blue sky! That sure is a pretty rose, and the color is wonderful too. Awesome shot of this beautiful variety. I hope you're safe from the dreadful fires that are sweeping through areas of California now. Beautiful colors and nice against the blue sky!